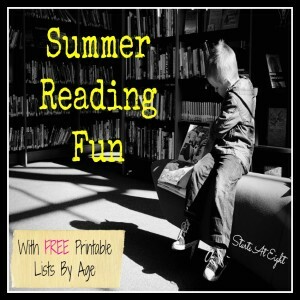 You can always find books about riding the bus to school, books about Kindergarten, books about your first day of school, and just plain books set in public school. 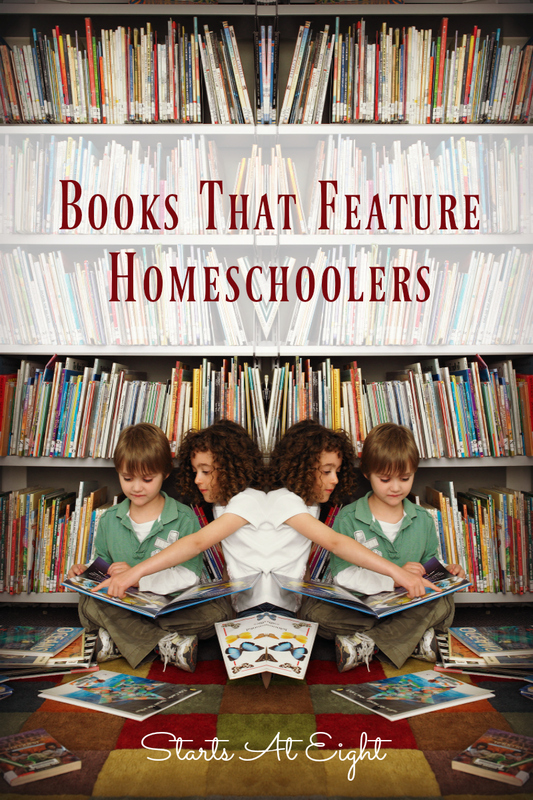 But what about books that feature homeschoolers? Finding books that have homeschooled characters is a much more difficult task. 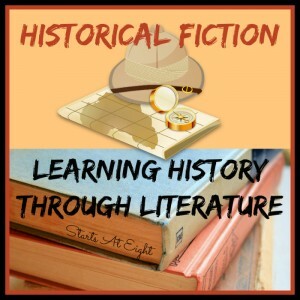 Throughout the past year I have made an effort to gather as many books that feature homeschoolers into one list as I can. Some of the characters may be clearly homeschooled, and some, like some of the classics, it is more implied. Addie McCormick and the Computer Pirate by Leanne Lucas- The main character in this book is attending a cooperative homeschool while her school is being repaired following a tornado. Adventures in the Neighborhood Woods (series) by Jesse Honn – (Ages 8- 10) Written by an author who was homeschooled himself, this series features a group of seven friends, some of whom are homeschooled, who “set out to explore the neighborhood woods for themselves, seeking out hidden treasures and mysterious secrets. As they soon find out, the woods hold much more than the adventuresome group could ever hope to explore in one summer. For these daring woodsmen, however, another adventure is never far away. Welcome to the neighborhood!” NOTE: The first book in the series is called The Tunnel. Alabama Moon by Watt Key – (Grades 6-8) For as long as ten-year-old Moon can remember, he has lived out in the forest in a shelter with his father. They keep to themselves, their only contact with other human beings an occasional trip to the nearest general store. When Moon’s father dies, Moon follows his father’s last instructions: to travel to Alaska to find others like themselves. But Moon is soon caught and entangled in a world he doesn’t know or understand; he’s become property of the government he has been avoiding all his life. As the spirited and resourceful Moon encounters constables, jails, institutions, lawyers, true friends, and true enemies, he adapts his wilderness survival skills and learns to survive in the outside world, and even, perhaps, make his home there. Alice, I Think (Grades 7 & Up due to some mature content) – This is the first of a trilogy about Alice. Its sequels are Miss Smithers and Alice Macleod Realist At Last. They take Alice from 15 and homeschooled through her journey back to public school after being homeschooled for 10 years. The Boxcar Children series by – (Grades 2-5) Four orphaned children run away from their guardian and turn an old abandoned boxcar into their home. The Candymakers by Wendy Mass – (Grades 4-8) Check out my Candymakers book club post with activities and more! Chicken Friend by Nicola Morgan – (High School) A preteen named Becca is pulled out of school when her family moves to a rural community. Becca exiles herself to the chicken coop (“a good place to sit and think”). She considers her family to be weird, her own personality to be boring, her diabetes and her being homeschooled as obstacles to making friends- which is her main goal. Then she meets two cool and slightly dangerous girls who she wants to impress. Trying to be like them, she finds herself courting disaster. Every Soul A Star by Wendy Mass – Ally’s parents have raised her and her brother on a campground, where the whole family has been preparing for years to welcome crowds eager to view an anticipated total solar eclipse. Both have had plenty of opportunities to explore areas of interest, but relatively little contact with people outside of the family, other than the campers who come out during the summers. Socially adept Bree has just learned that her parents will be taking over the management of the campground following the eclipse, and plan to homeschool her and her sister for the next three years, while Ally’s family returns to the city. Though neither girl is happy about the change to begin with, their interactions introduce each to the value of the other’s lifestyle. Feed by M.T. Anderson – (High School) Teen narrator Titus grows up in a futuristic world where parents select their babies attributes and televisions and computers are plugged into peoples’ brains when they are babies. They live in a consumer society, the kids are barely articulate, and kids learn to employ the corporation dominated information stream, or “feed,” more efficiently in School. Things change when Titus and his friends travel to the moon for Spring Break and Titus meets homeschooled Violet, who thinks for herself. The Girl Who Could Fly by Victoria Forester – The third person narrative of Piper McCloud has a timeless feeling until the Chapter Four, when the news trucks, scientists and government agents arrive. Unlike the other homeschoolers on this list, Piper is schooled by her parents to hide her unique abilities from the world. Yes, she flies—it begins with just levitation—and she lands right in a secret government school for other “special” kids. Comic book and science-fiction fans will be pleased with this adventure. The Homeschool Liberation League by Lucy Frank – (Grades 6-8) On returning from a summer at a wilderness camp, Kaitlyn (now Katya) decides that she can’t handle going to school anymore. Not only are the classes boring (“stupefying,” as she puts it), but she acts like a different person when she’s there. Most of the book is spent debating with her parents regarding whether homeschooling is a viable choice for the family. 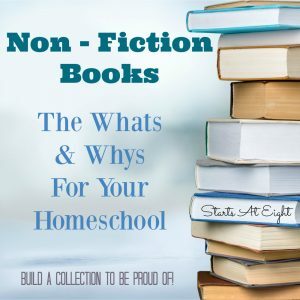 In the process, the novel presents a fairly balanced view of both the public school vs. homeschool question and the variations to be found among homeschooling families. I am Learning All the Time by Rain Perry Fordyce – (pre K -3) A story about 5 1/2 year-old Hugh as he begins the discovery process of what it means to not go to school. He reflects on life at home and life of his neighborhood friends, who go to school. Ida B. and Her Plans to Maximize Fun, Avoid Disaster, and (Possibly) Save the World by Kathryn Hannigan – Ida B. (not to be confused with her mom, Ida) has been homeschooled most of her life. When her mother’s cancer makes homeschooling impossible — and simultaneously requires most of her beloved orchard to be sold to pay the medical bills — Ida B. is devastated and retreats into herself, shielding herself from fear and further betrayal by building a wall of anger that soon becomes nearly impenetrable. A heartbreaking and beautiful story less about homeschooling than about a very human response to loss. Still, Hannigan believably portrays some of the strengths and weakness of both homeschooling and public school. My Name is Mina by David Almond – (Grades 4 & up) My Name Is Mina is Mina’s journal. Alternating between explanatory entries describing how and why she left public school and descriptive entries that tell what Mina’s style of homeschooling is like, the novel offers an unusually detailed look at the development of a mind given space to explore. This is a prequel to Almond’s better-known novel, Skellig. Nim’s Island by Wendy Orr – (Grades 2-5) A girl. An iguana. An island. And e-mail. Meet Nim–a modern-day Robinson Crusoe! She can chop down bananas with a machete, climb tall palm trees, and start a fire with a piece of glass. So she’s not afraid when her scientist dad sails off to study plankton for three days, leaving her alone on their island. Besides, it’s not as if no one’s looking after her–she’s got a sea lion to mother her and an iguana for comic relief. She also has an interesting new e-mail pal. But when her father’s cell-phone calls stop coming and disaster seems near, Nim has to be stronger and braver than she’s ever been before. Savvy by Ingrid Law – (Grades 4-7) Thirteen is when a Beaumont’s savvy hits—and with one brother who causes hurricanes and another who creates electricity, Mibs Beaumont is eager to see what she gets. But just before the big day, Poppa is in a terrible accident. And now all Mibs wants is a savvy that will save him. In fact, Mibs is so sure she’ll get a powerful savvy that she sneaks a ride to the hospital on a rickety bus with her sibling and the preacher’s kids in tow. After this extraordinary adventure—full of talking tattoos and a kidnapping—not a soul on board will ever be the same. Schooled by Gordon Korman – (Grades 5-7) There’s plenty of laugh-out-loud humor in this hippy love fest. On the surface, Capricorn Anderson seems like a page out of a stereo-type manual on homeschool kids (complete with a hippy commune), but Cap’s naivety and love will win over any haters. 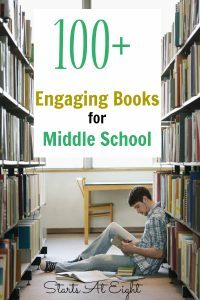 Schooled helps readers see beyond the surface issues of middle school and focus on what really matters. Skellig by David Almond – (Grades 4 & up) Ten-year-old Michael was looking forward to moving into a new house. But now his baby sister is ill, his parents are frantic, and Doctor Death has come to call. Michael feels helpless. Then he steps into the crumbling garage. . . . What is this thing beneath the spiders’ webs and dead flies? A human being, or a strange kind of beast never before seen? The only person Michael can confide in is his new friend, Mina. Together, they carry the creature out into the light, and Michael’s world changes forever. . . .
Word Nerd by Susin Nielsen – (Grades 5-7) Ambrose’s mother takes him out of school when a prank pulled by some bullies goes horribly wrong. Left alone in the evenings while his mother is at work, Ambrose develops a Scrabble-based friendship with his landlords’ son that offers both an opportunity to grow. Wright on Time series by Lisa M Cottrell-Bently and Tanja Bauerle – (Grades 3-7) See my full review here. 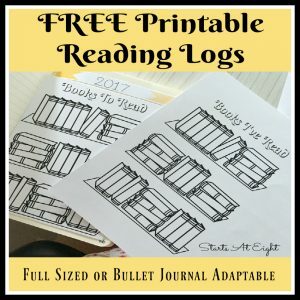 I’ve been wanting a list of books with homeschoolers! Thanks for sharing this. You’re welcome! I think it’s good for kids to be able to read about other kids who are educated outside the public school system. I have never heard of some of these. Thanks for the list. I will be checking these out for our next read alouds. 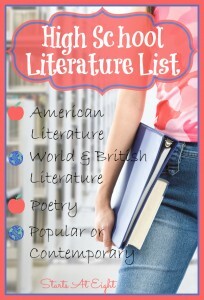 What an appropriate book list for homeschoolers! Some of these I have read myself, some I have heard of, and some were new to me too! This is awesome! We’ve only read Nim’s Island. We’ll have to check out all the others. You should include The Tethered World by Heather L. L. Fitzgerald. It’s a portal fantasy where a homeschool family enters a world filled with all the legendary creatures of the world, and the autistic twin turns out to be crucial to the world. Thank you for offering a recommendation! I haven’t heard of that one! In doing research for this post I actually added a bunch to my list and have one out of the library already! We loved the Candymakers and we’ll have to check out some of these too! Wendy Mass is one of our favorite authors. She has many other great books you might be interested in! HI there! I am a homeschooling mom from South Africa and TWO of my fellow South African HS moms have written beautiful novels featuring homeschooled children. You can check them out on Amazon: Seekers of the Lost Boy by Taryn Hayes, and Cuckoo Clock Secrets by Karyn Collett. I also ran across, purely by accident, that Treasurer Hunter’s has home schooled children in it too. The Martin and Sylvia audio book series from Sparkle Stories is also about homeschooled kids. Yes, Seekers of the Lost Boy! I had forgotten about that one. I am currently doing a full review of Cuckoo Clock Secrets that will be up on here soon! So many great suggestions from people are coming in! I hadn’t heard of these!